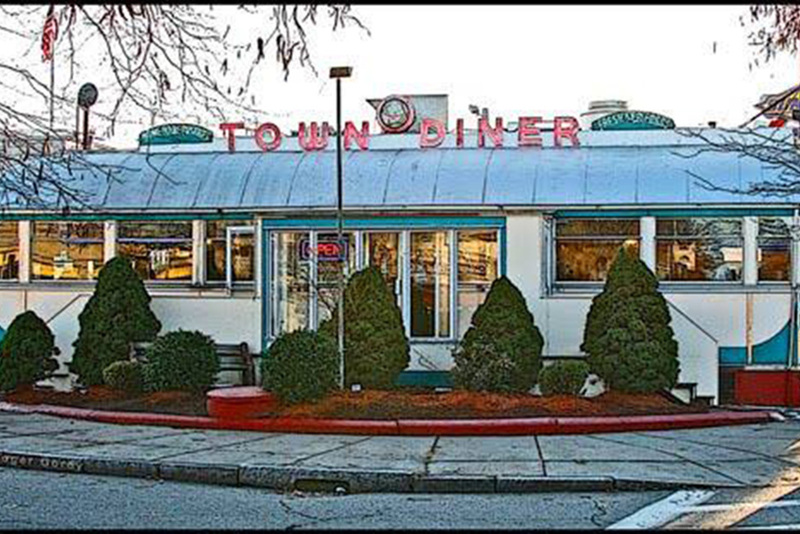 Diners are a beloved product of New England—many believe the first one opened in Rhode Island in 1872. Today they’re a source of nostalgia, as well as a sure thing for a filling meal in charming, retro environs. 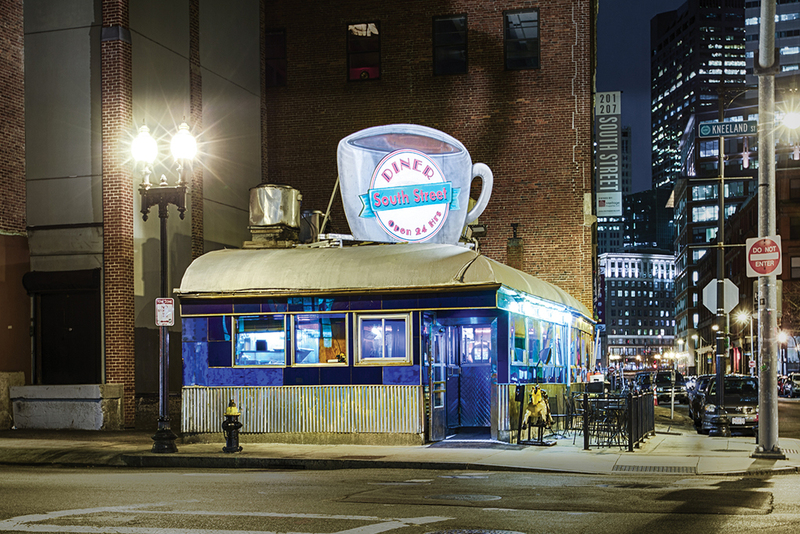 Options in the Boston area range from greasy spoons and 24-hour joints to glammed-up institutions and vegetarian versions. All offer friendly service, reasonable prices, and casual atmospheres. 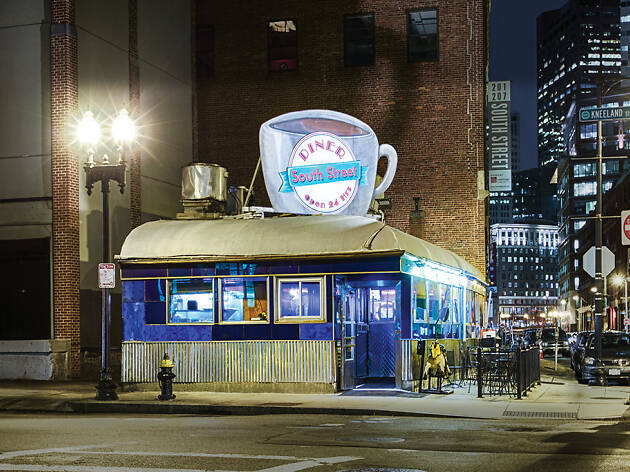 The best diners in Boston are are a great place to start the day before visiting Boston’s best attractions, or for wrapping up a night socializing at Boston’s best bars. If you’re looking for a more refined dining option, check out Boston’s best fine dining restaurants. 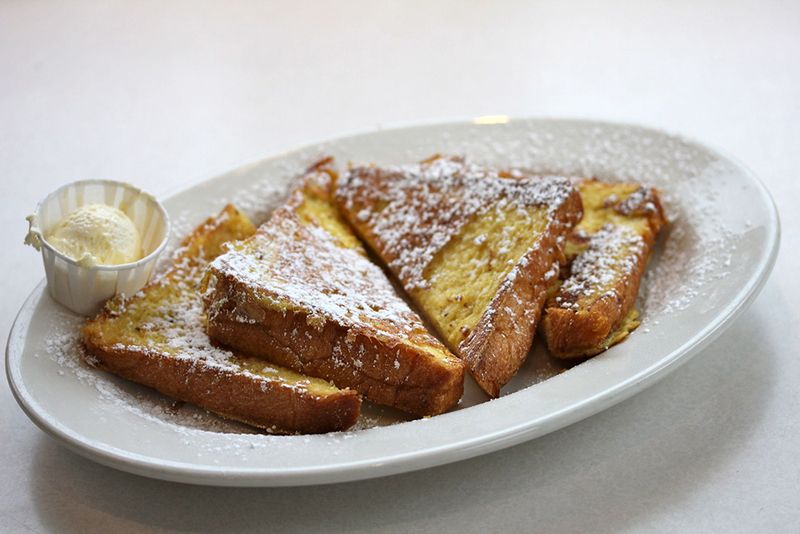 Despite a major renovation that gave it a higher-end gloss, Rosebud retains its diner status with a friendly vibe and comforting eats. The 1941 exterior of this Somerville institution is intact, and first thing you see upon entering is the display case full of fresh, homemade pies — a welcoming fixture that’s pure diner. There are craft cocktails and seared fresh salmon, but classics like fried chicken and mac and cheese are still on the menu. There’s also a down-home menu of barbecue favorites like smoked brisket, barbecue half chicken, and St. Louis-style ribs (“while they last”). The crowds keep coming for excellent diner fare in Watertown. Deluxe has been around since the 1940s, and is now restored and maintained in all its classic splendor. There’s a lunch counter, booths, and a neon-lit exterior. Everything on the menu is available at any time of day, so go for it — get a grilled Reuben, meatloaf, or a chili-cheese dog for breakfast; chow down on hash and eggs or johnnycakes for dinner. 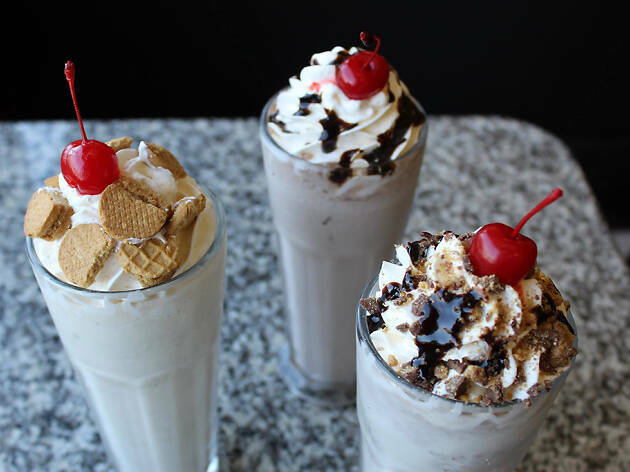 You’ll even find a few fancier options like crab cakes or chicken piccata, but stick with the classics for a true diner experience. 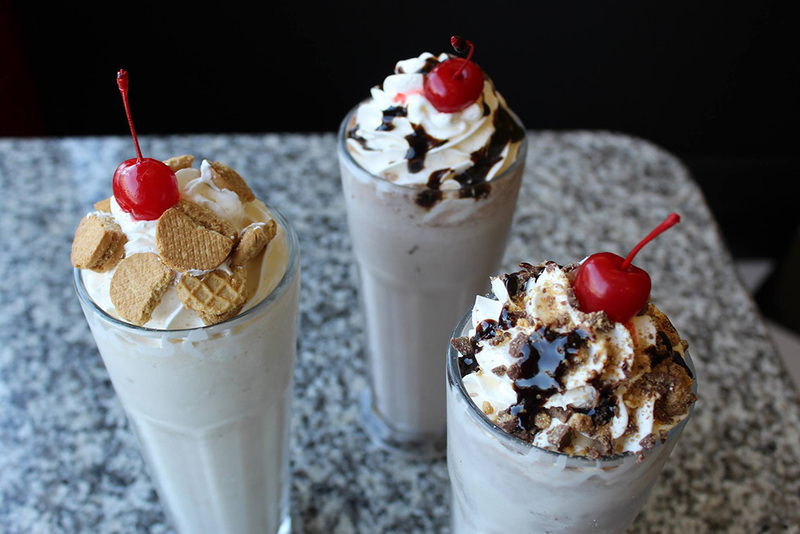 Whatever the hour, South Street Diner has been welcoming hungry patrons since 1947. Open 24/7, it’s a prime spot for party people wrapping up a night out, insomniacs looking for a snack and some company, or commuters heading to work from South Station. 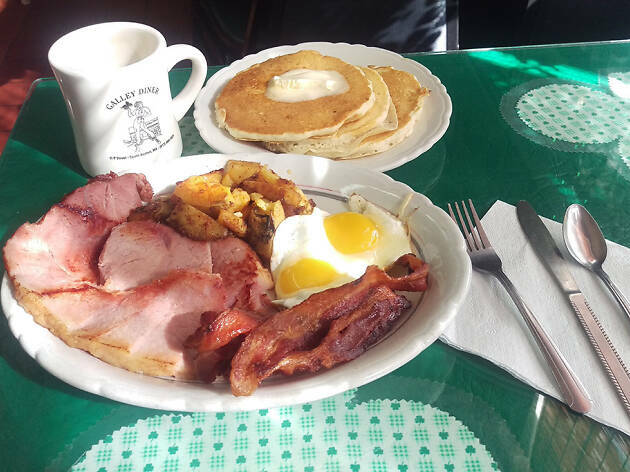 The Diner Special (three eggs, two pancakes or French toast, home fries, toast, choice of bacon, corn beef hash, ham or sausage) is always a winner, as are burgers, shakes, and breakfast standards. Beer and wine is served until 1am. 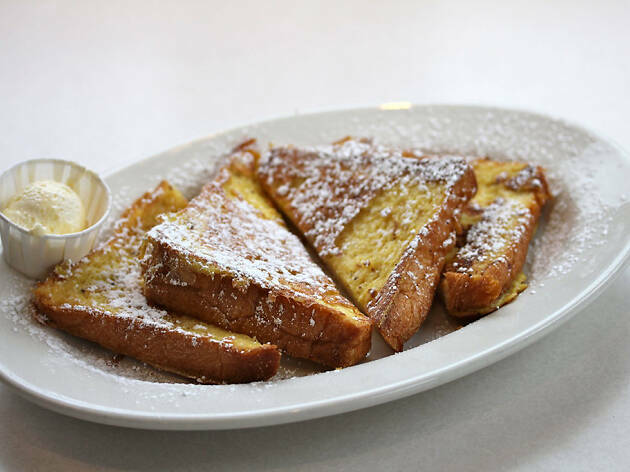 Slip into a cozy booth for breakfast and lunch weekdays, or any time Thursday-Saturday. 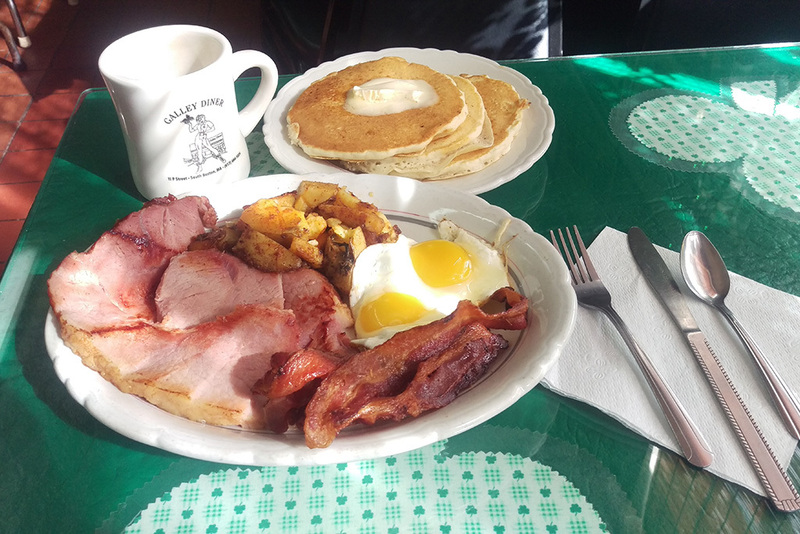 Since 1949, Victoria’s Diner has satisfied the masses with a huge menu of diner favorites. 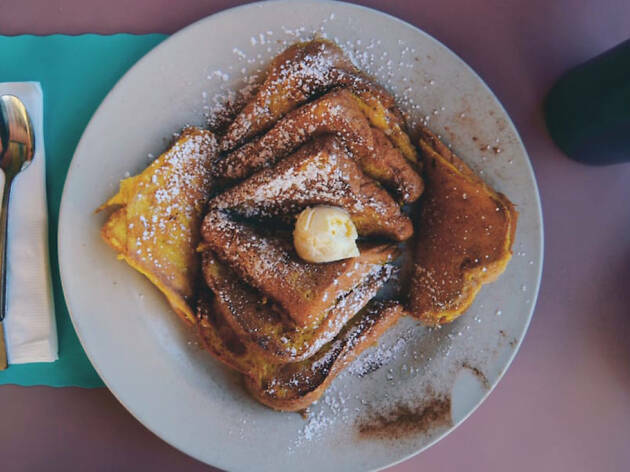 Whether it’s eggs Benedict for breakfast, an open-faced roast beef sandwich for lunch, country fried steak for dinner, or waffles late at night, Victoria’s has it. There’s a full bar, takeout, and even catering for diner fare enthusiasts. This two-piece car, manufactured in 1953, was, at the time, the largest diner ever built. 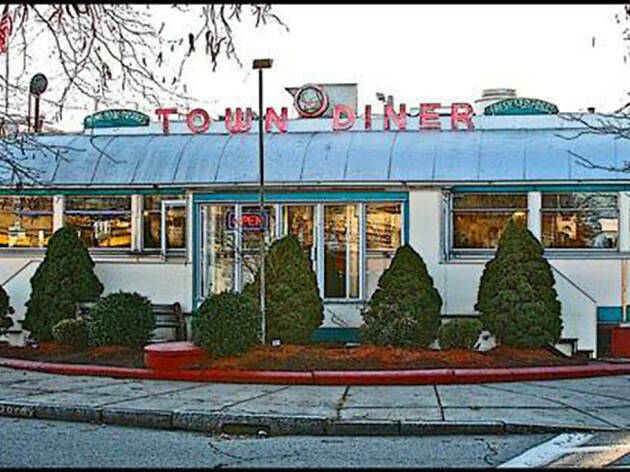 It lived in Delaware for decades before arriving in Ball Square in 1996, to the delight of Somerville diner fans. All the classics are represented here, from omelettes and club sandwiches to chicken pot pie and pot roast. Kelly’s is cash only, but, after all these years, nothing on the menu is more than $10. If you love diner food but loathe a bacon-and-sausage grease-fest, Veggie Galaxy is for you. Breakfast favorites are all on the menu, and you can stuff your omelettes with more veggies than you can handle. For lunch and dinner, the classics are given creative veggie spins, resulting in crowd faves such as a meatless BLT, vegetarian poutine, seitan reuben, and veggie shepherd’s pie. Bakery items — cakes, pies, doughnuts, and muffins — are all vegan, and as delicious as the real thing. 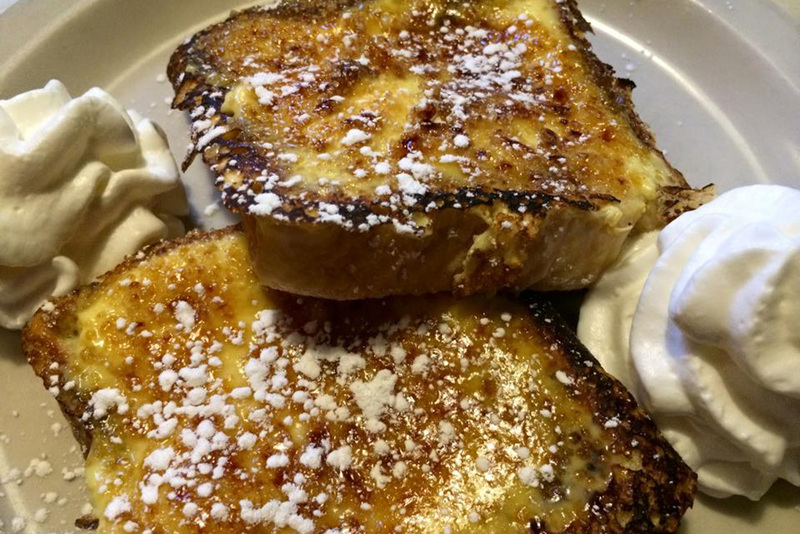 This breakfast and lunch spot in Allston is a throwback to both the 50s and the 80s. 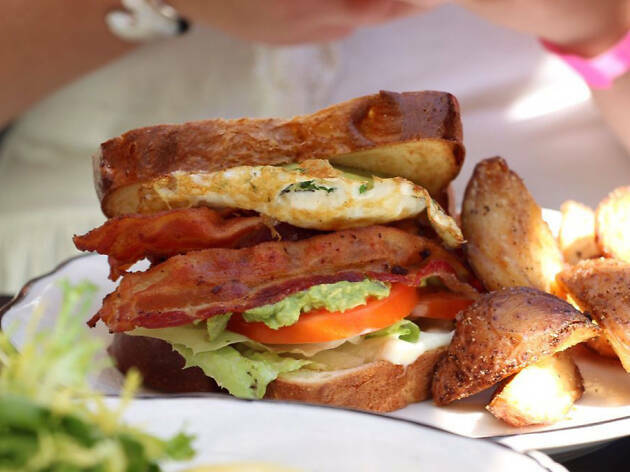 It’s a classic diner, but dedicated to the beloved Brat Pack movie The Breakfast Club. Everything is made from scratch, from omelettes (made with cage-free eggs) and corned beef hash to whipped cream and fresh juices. 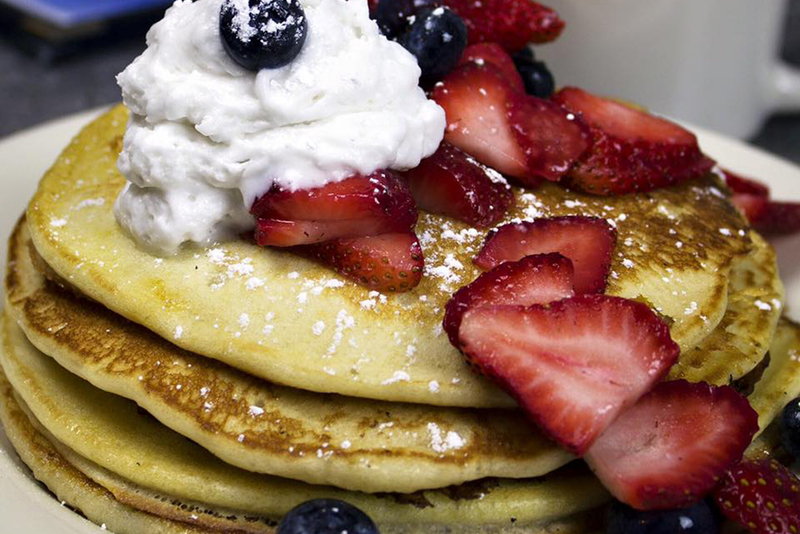 There are plenty of healthy options (gluten free pancakes, smoothies), as well as specials like The Basketcase (two eggs, home fries, toast, pancakes or French toast, and choice of meat) and The Dean’s Office (toasted bagel, smoked salmon, cream cheese, onions, tomatoes, capers). Browse the 80s memorabilia adorning the walls as you dine. 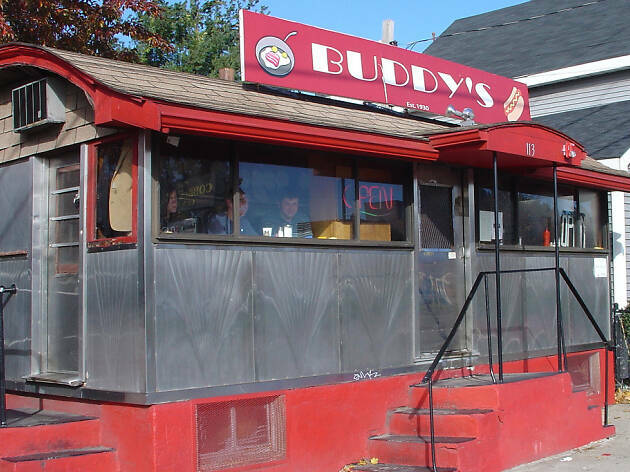 Housed in a vintage diner car form 1929, this Somerville spot has been serving up greasy-spoon favorites for breakfast and lunch since 1951. 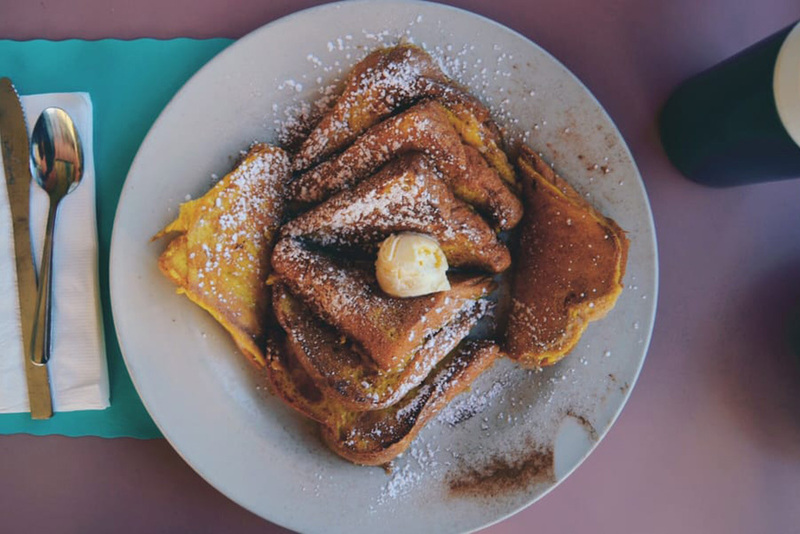 Grab a seat at the counter and indulge in a steak and cheese omelette or other diner classics like corned beef hash, Texas French toast and thick pancakes. The friendly staff and satisfying fare is worth any wait for one of the 20 seats. 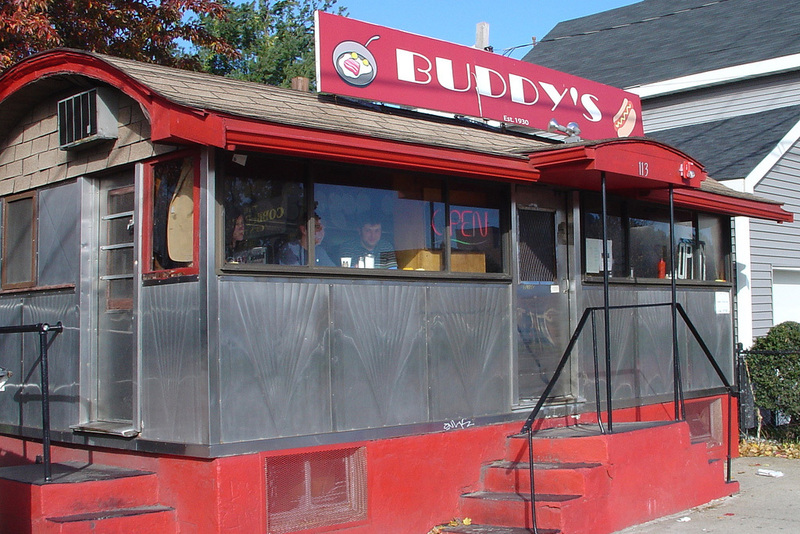 True to its diner roots, Buddy’s is cash only. South Boston staple Mul’s has the classic diner elements, from the shiny exterior and checkered tiles to red booths and counter seating. 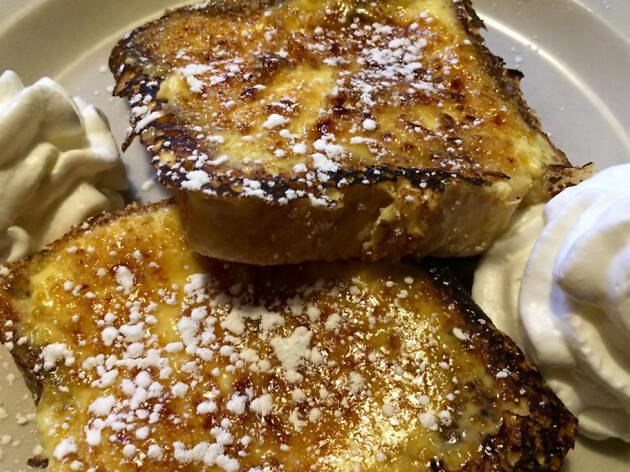 The menu, however, updates classic diner fare a bit with offerings such as crème brûlée French toast and banana-pecan pancakes. Coffee is bottomless and service is friendly. On weekends, it’s a destination for a hangover cure that hits the spot or a pleasant way to while away the morning. 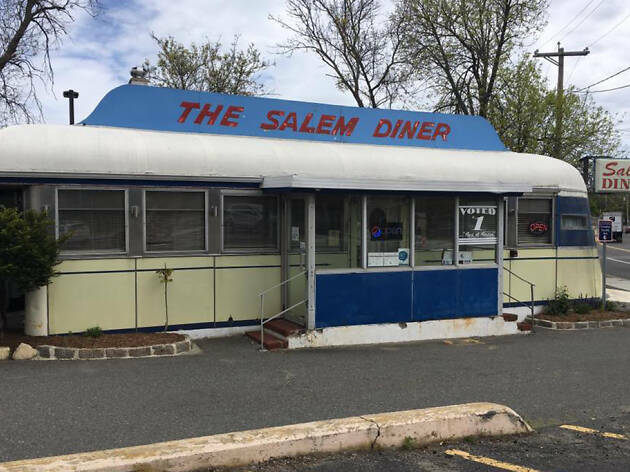 For real diner history enthusiasts, the drive to Salem is worth it to visit this diner, listed on the National Register of Historic Places. 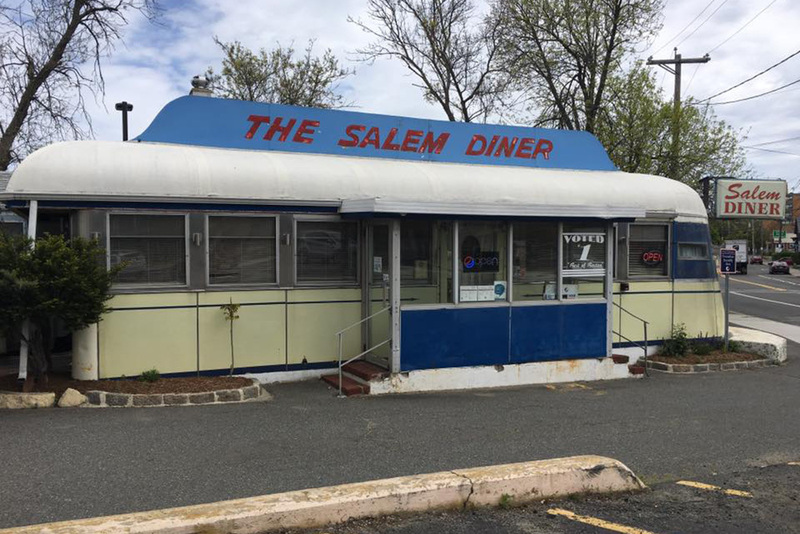 Salem Diner is one of only two Sterling Streamline diners left in the state, and it’s still in its original location. 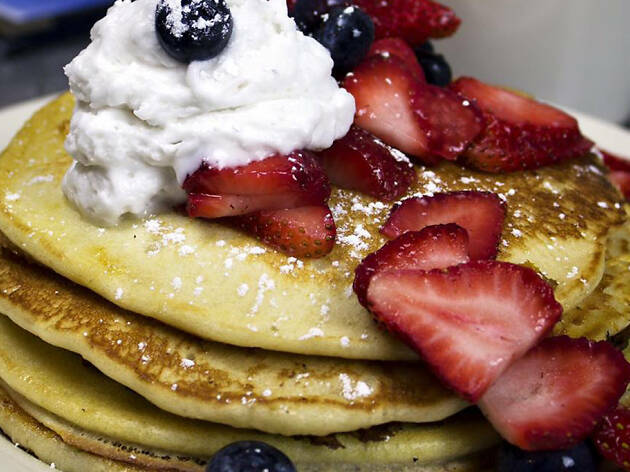 Enjoy large portions of omelettes, pancakes, and corned beef hash, all served with a smile from the friendly staff. This cozy neighborhood institution in Southie is populated by regulars and fans of classic diner fare. 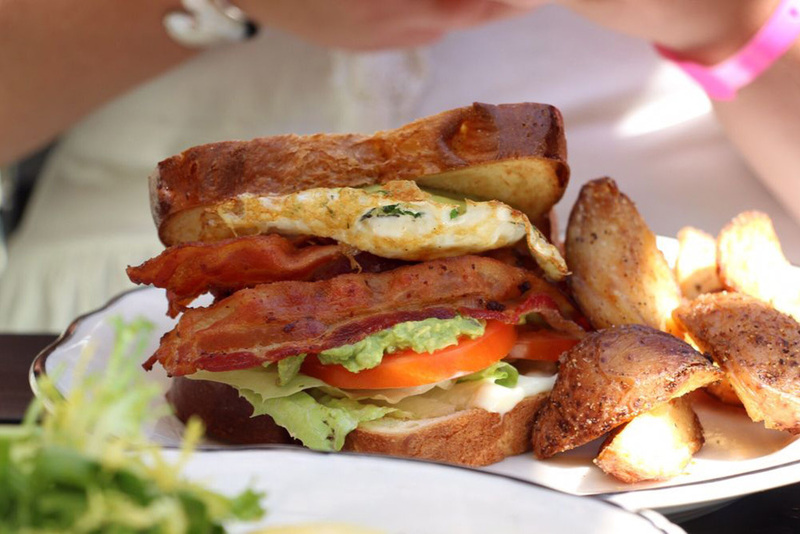 Breakfast items are served all day as well as a lunch menu of soups, club sandwiches, and subs. The corned beef hash—served with eggs, home fries, and toast—is a favorite. Anything with kielbasa or linguica is also a popular choice.